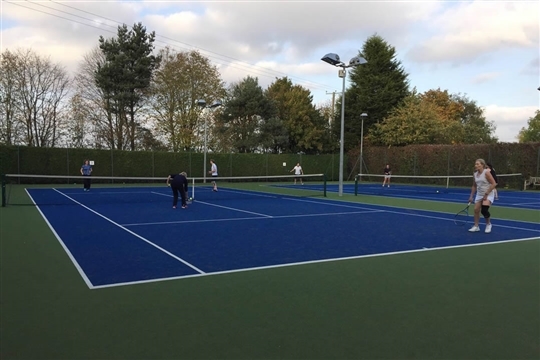 In addition to coaching, there is a wide variety of social tennis which takes place throughout the week on a turn up and play basis. Where floodlights are used there is currently no charge made. Balls are available from Di Grove at a cost of £6 a tube. The Club provides a court that can be booked and used by members of the public. The designated court is the single court, directly opposite the clubhouse. The cost is £7 per hour for up to four people and to book this court, please contact Di Grove on 07751 978832. Di will take your fee and provide you with a key to unlock the court. Please return the key to Di when you have finished playing.